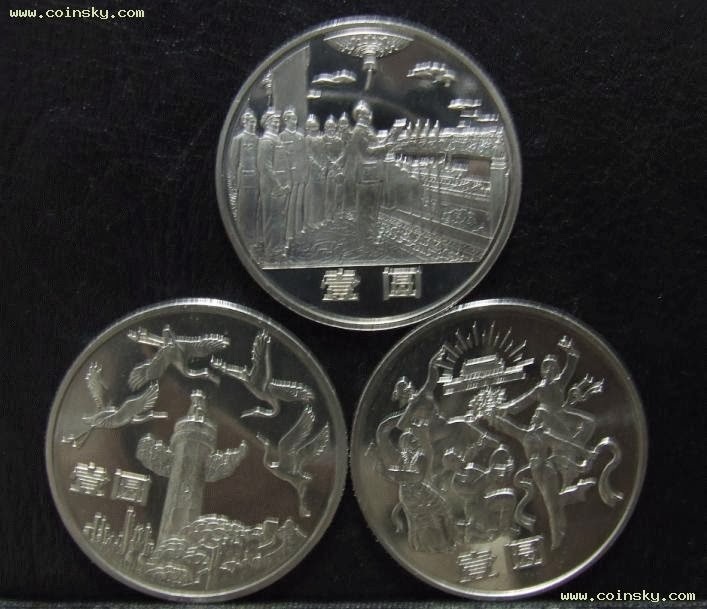 There is a huge difference among the mintages of early circulating proof coins. 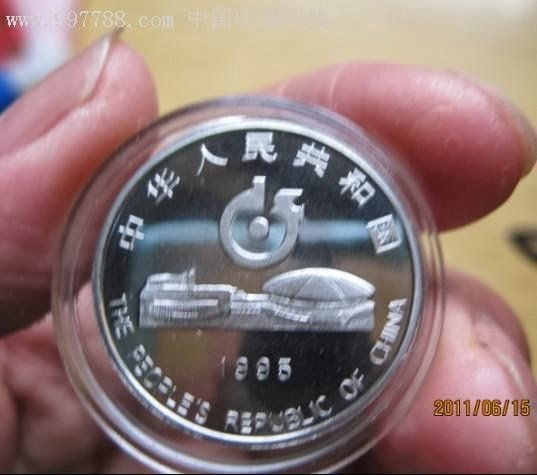 The 35th Anniversary of the Founding of the PRC and the 40th Anniversary of the Founding of the PRC have the same theme, but their mintages differ hundreds of times. No one knows why. 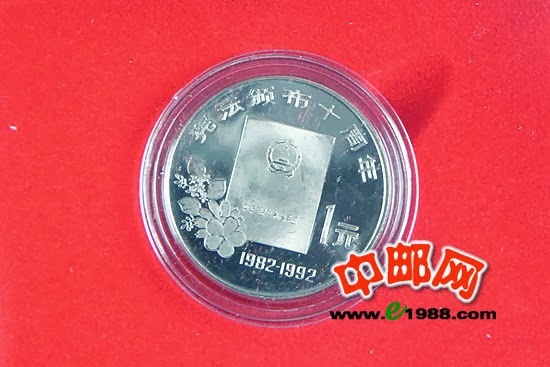 The actual mintage of many types cannot be verified. Only through sales records in recent years and communications between fellow collectors can we gather who owns what. 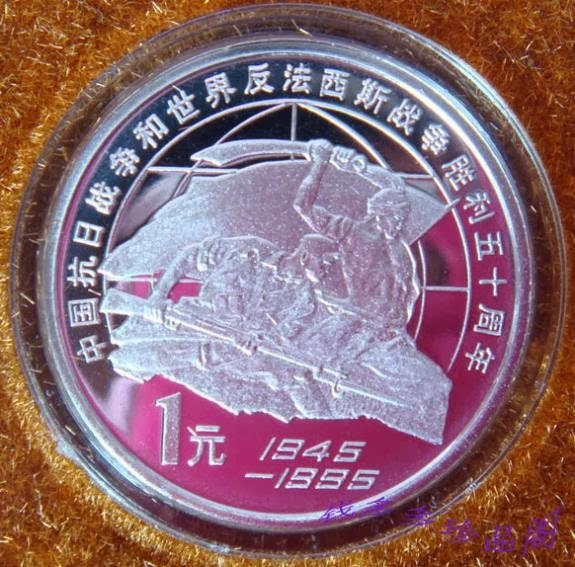 From such knowledge, we make estimates on the number of circulating proof coins discovered by collectors, and on their rarity. The types that have the least market availability are the 40th Anniversary of the Founding of the PRC and the Women's Soccer. There is only one publically known specimen of the Women's Soccer in the coin collecting community. 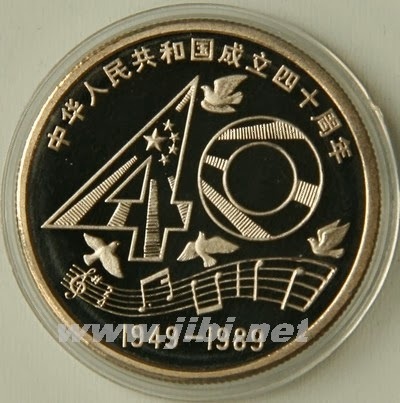 One specimen of the 40th Anniversary has been made public. 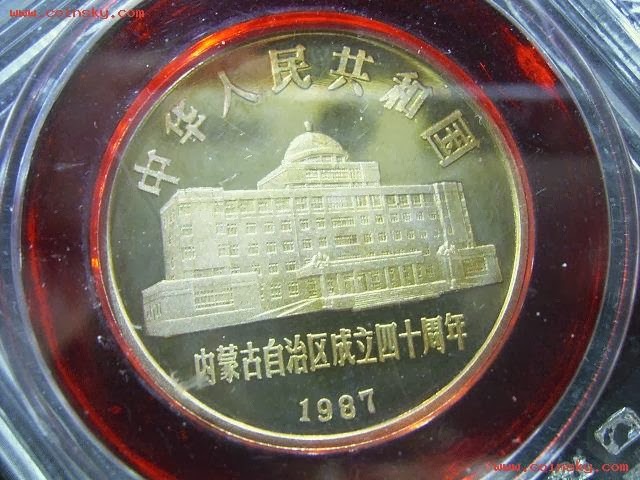 Two more people claim to own it, but nobody has seen the coin and they have not provided pictures either. 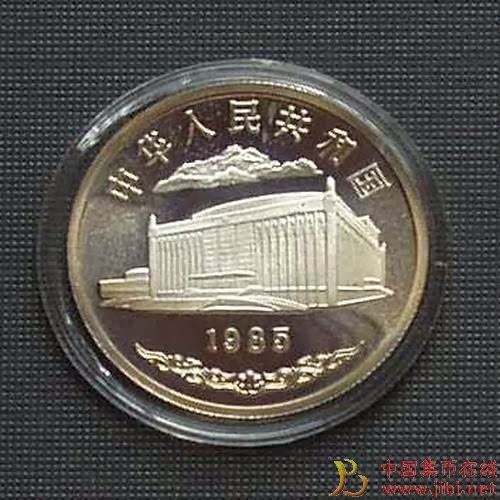 The Illustrated History of Shenyang Mint lists the mintage at 1,000. It is estimated that the mintage of the Women's Soccer is around 1,000, too. 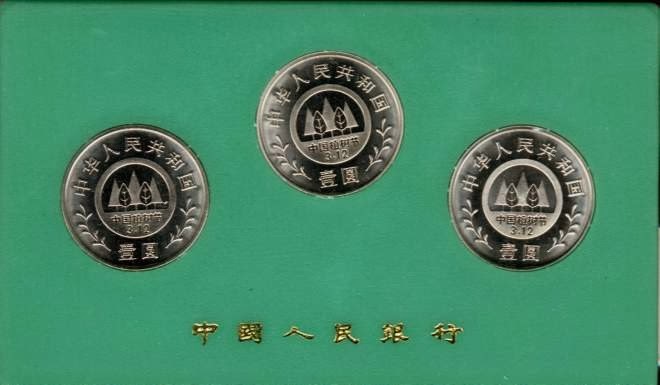 Circulating proof coins for Inner Mongolia and the 70th Anniversary of the Founding of the Chinese Communist Party are known to have 5 to 6 specimens each. 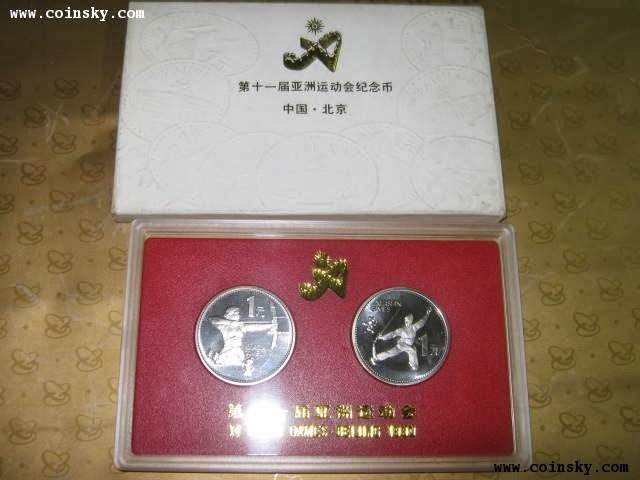 The mintage of Inner Mongolia as recorded in the Shenyang Mint History book is 2,000. 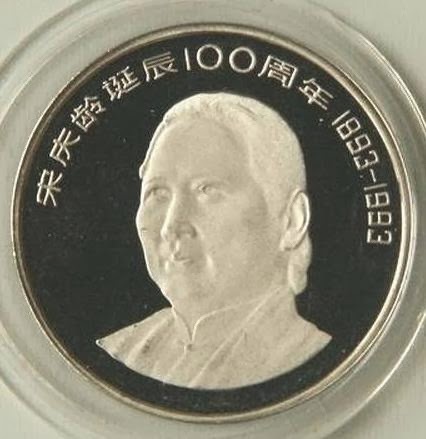 By estimate, the Founding of the Party also has a mintage of 2,000. 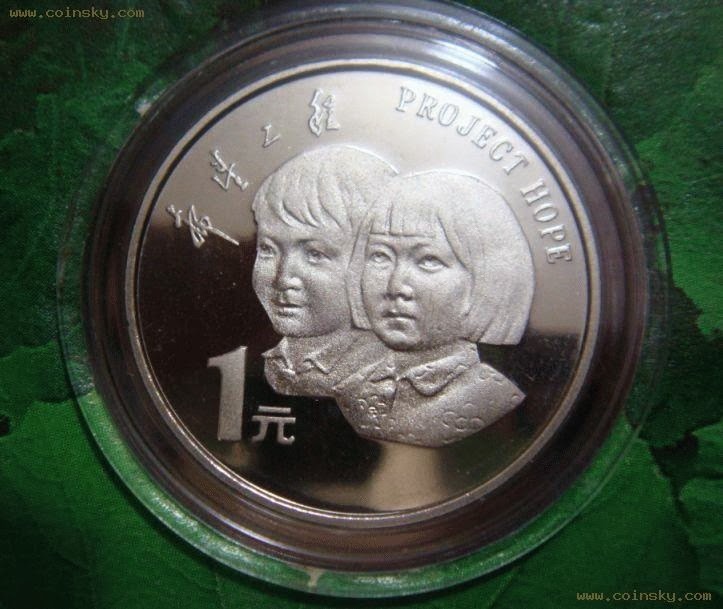 Many collectors do not use the Internet, or have little communication with other circulating proof coin collectors, or would rather keep the collection to themselves. For these reasons, the number of discovered specimens of these four types is actually several times more than the publically known figures. 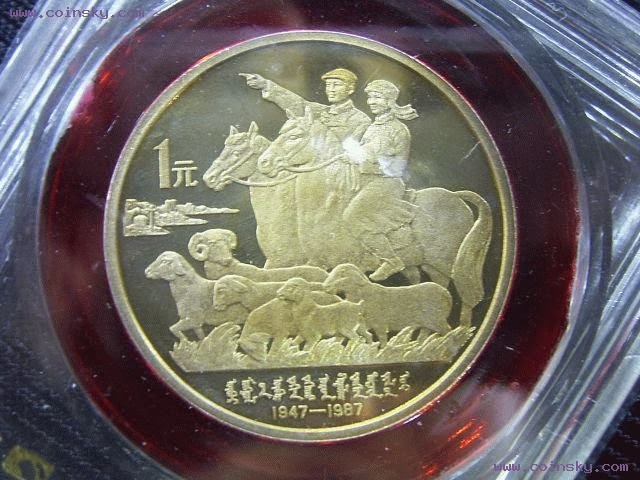 My conservative estimate is that the discovered specimens of the Women's Soccer and the 40th Anniversary of the Founding of the PRC are less than 10 each, and those of Inner Mongolia and the 70th Anniversary of the Founding of the Chinese Communist Party are less than 20 each. 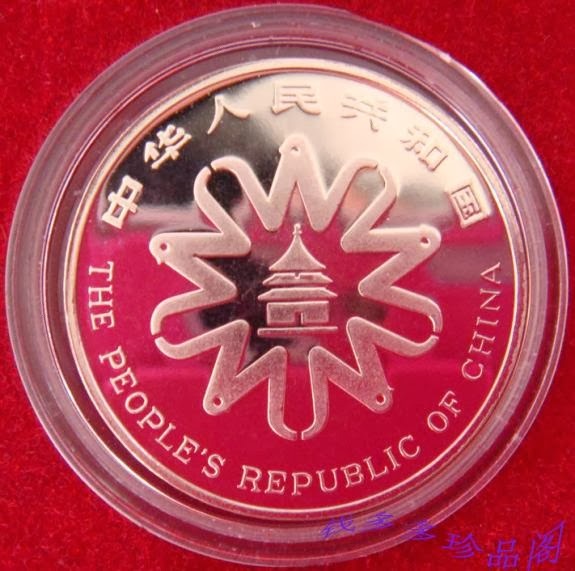 As Inner Mongolia and the 70th Anniversary of the Founding of the Chinese Communist Party are proof bank specimens, the order of the four top rarities is: the 40th Anniversary of the Founding of the PRC, the Women's Soccer, Inner Mongolia, the Founding of the Chinese Communist Party. 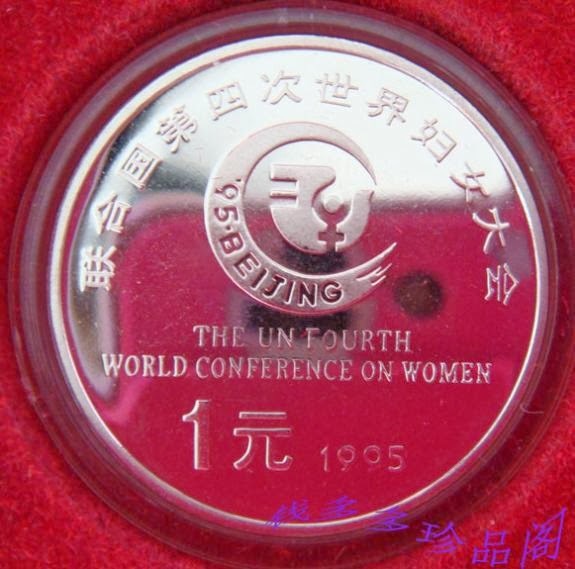 Commemorative proof coins for the United Nations, the Anti-Japanese War, and the Fourth World Conference on Women are more frequently found in public. There were records of quite a few transactions a year ago, but such public transactions were not witnessed in the past year. 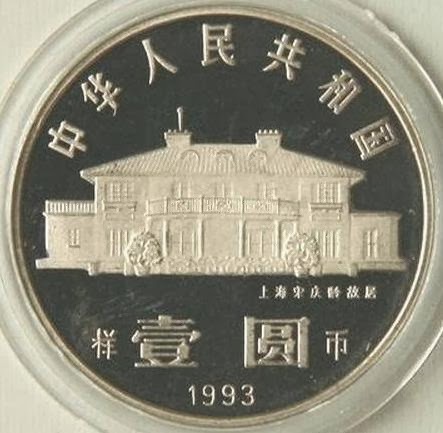 The surviving mintage is really small. By a conservative estimate using the method mentioned above, the discovered specimens are less than 100. The United Nations is obviously smaller in number, and the Anti-Japanese War and the Fourth World Conference on Women are a close match, with the latter slightly more than the former. 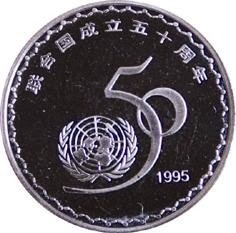 So the order of the three minor rarities is: the United Nations, the Anti-Japanese War and the Fourth World Conference on Women. 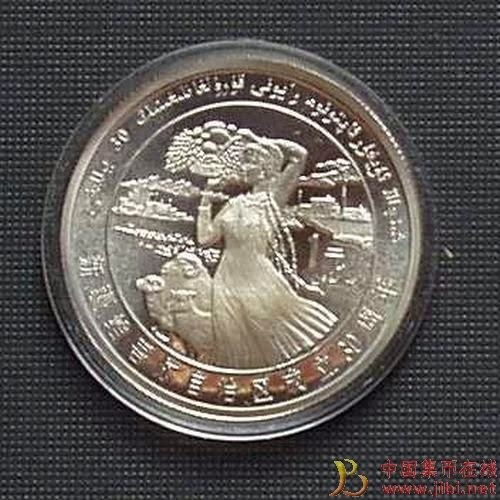 The proof Xinjiang coin has a small mintage of 1,400, and yet as it was packaged with the silver coin, the surviving mintage is relatively high. Now it is still readily available, and so does not meet the conditions for a "rarity". Transactions of the raw proof Year of Peace were also recorded in recent years. It should be regarded as scarce. But it should be pointed out that specimens with boxes and certificates are extremely rare. 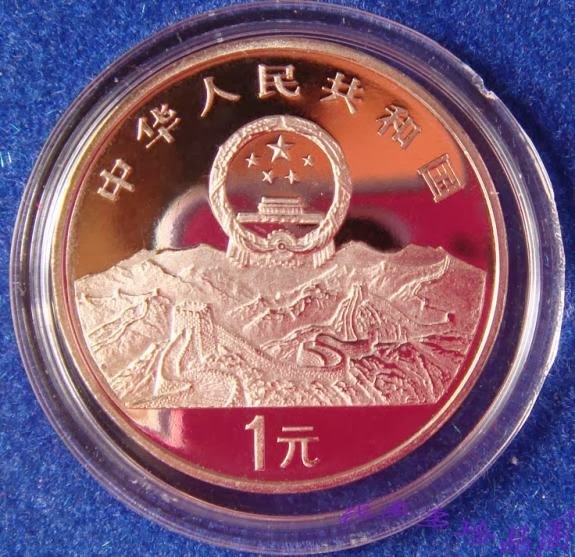 Package 3 on Page 7 in my book A Catalog for China's Circulating Proof Commemorative Coins is the only instance ever seen. 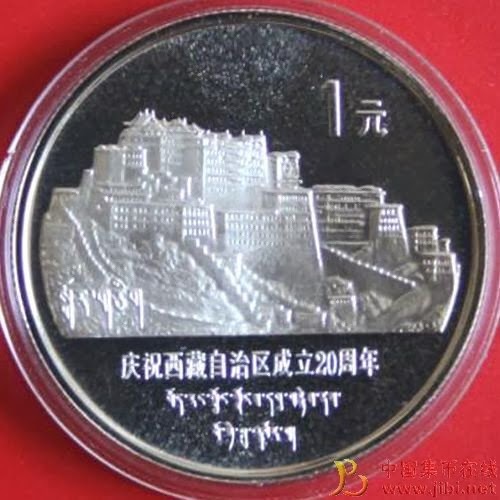 The Old Tibet has a mintage of 3,000, very scarce. The COA of Project Hope lists its mintage at 20,000, but due to extremely good market absorption, there were no records of public transactions in the past year. It should be categorized as scarce, too. 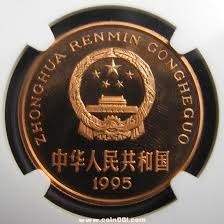 The order of the four coins is: Xinjiang, Year of Peace, Tibet and Project Hope. 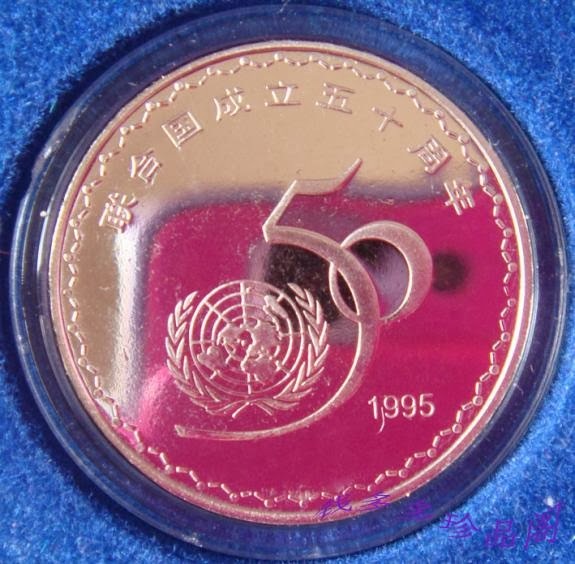 Arbor Day and the Asian Games were in short supply on the market in the first half of this year (2006 - Translator). Thanks to the rising prices, about 20 and 100 specimens of each type made their appearance on the market. Even so, considering their good market absorption and stable price, they should be categorized respectively as scarce and few. 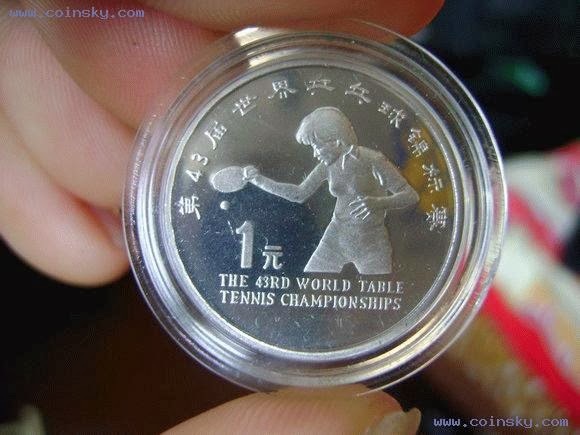 Founding of the Bank and the World Table Tennis Championship are often seen on the market, to be categorized as few. 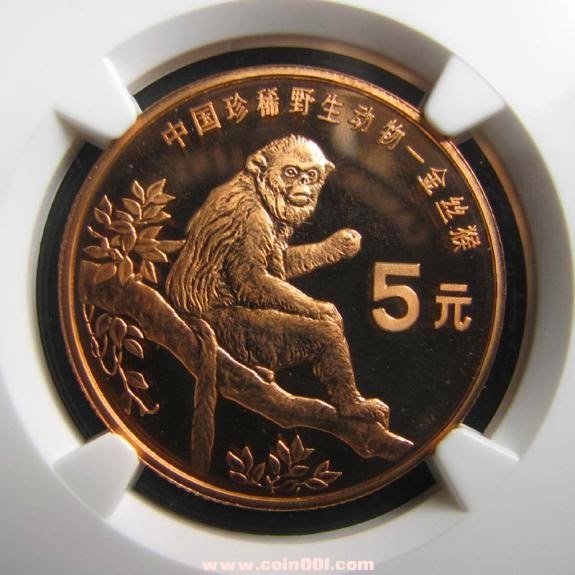 The Golden Monkey has a mintage of 20,000, to be categorized as common. 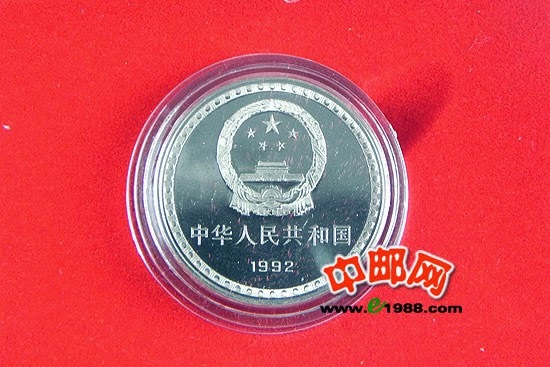 The 35th Anniversary of the Founding of the PRC, Constitution, Song Qingling and Mao Zedong all have large mintages, to be categorized as common. 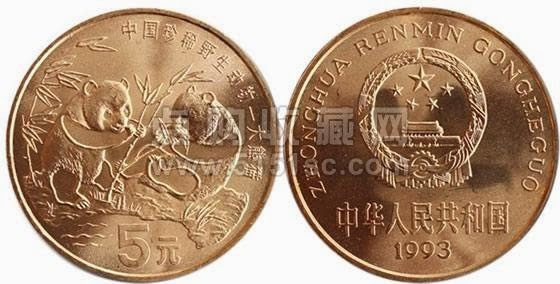 The Giant Panda has a mintage of 4 million, also categorized as common. 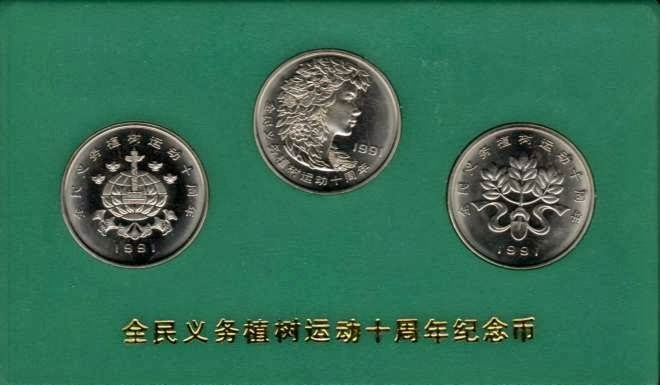 From my coin collecting experience, above is the rarity scale among the early circulating proof coins, right in that order. I mentioned that the Arbor Day and the Asian Games saw some market supplies in the first half of this year. 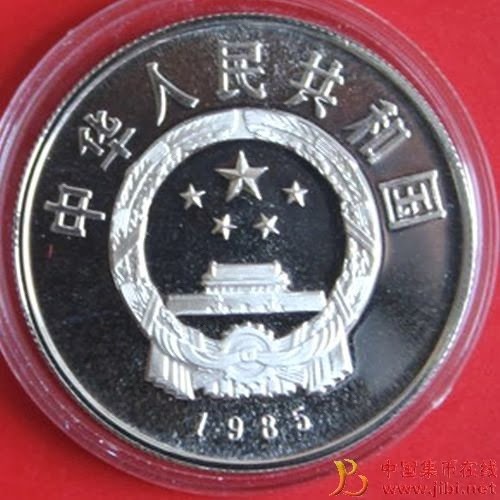 In this light, will there be any more supplies for the four top rarities, the 40th Anniversary of the Founding of the PRC, the Women's Soccer, Inner Mongolia, the Founding of the Chinese Communist Party? 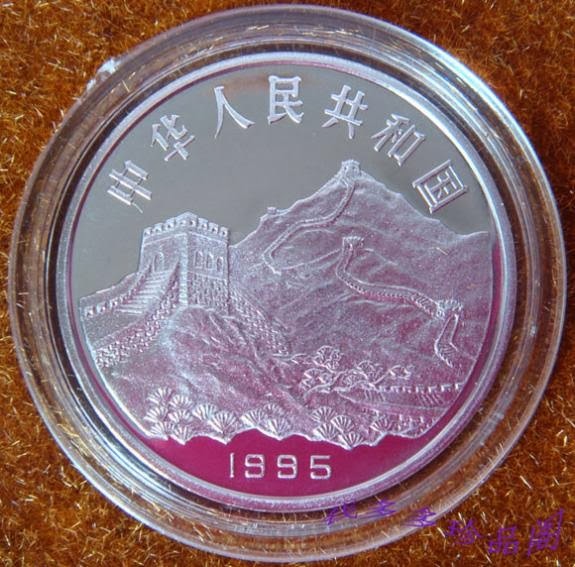 My conclusion is: when the prices of the early proof coins shoot through the roof, when they reach extreme popularity, some supplies may surface spottily. 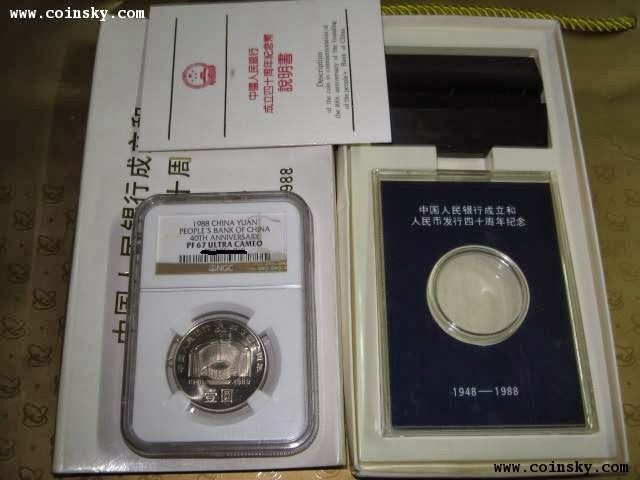 Whether their prices will shoot through the roof will be discussed in another post of mine "The Status of the Circulating Proof Coin from the Perspective of Collection".